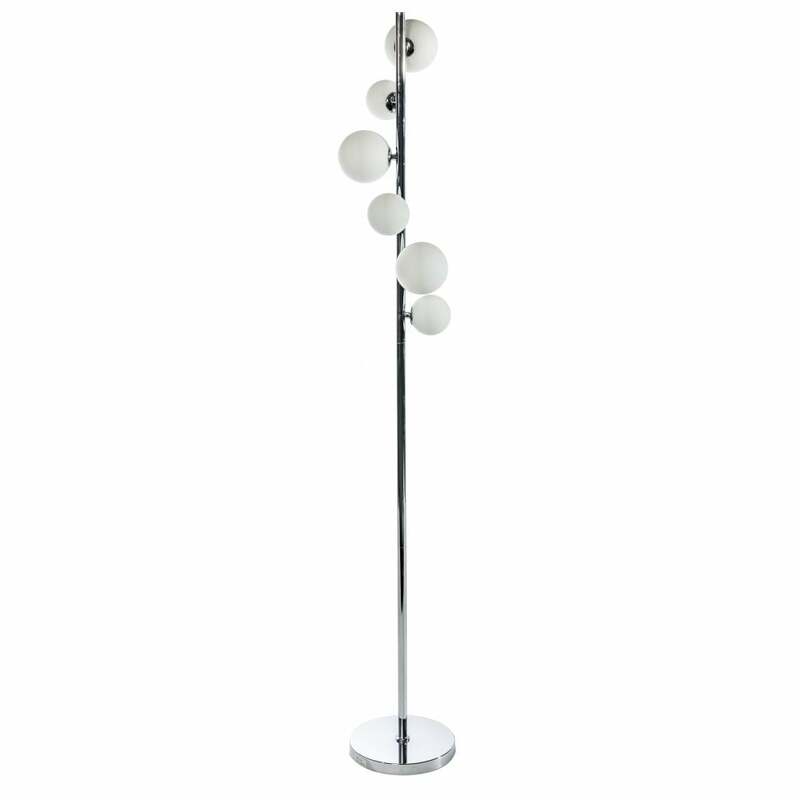 AZzardo 'Sybilla 6 Floor' 6 light floor lamp in polished chrome finish with white glass opal shades. The product code for this item is AZ2101. This delightful floor lamp will be a perfect lighting solution for modern or contemporary style homes. Finished in polished chrome, the Sybilla floor lamp features 6 white opal glass shades which diffuse the light beautifully and creates a warm atmospheric light. Also available in the Sybilla range from AZzardo is a 3 Light Table Lamp, 7 Light Ceiling Pendant and 10 Light Ceiling Pendant all of which can be viewed and purchased via our website.